If you were on a mission to improve the plight of humankind, no less, would you care about how many people are living, where they are, and how old they are? You probably would, for it would obviously make it easier for you to estimate the challenge you face. However, the international community did not. In 2000, the international community formulated the Millennium Development Goals (MDGs), which guided development policies over the last 15 years. Between 1990, the most common base year, and 2015, the common target year, these goals have sought to cut the proportion of people living in extreme poverty by half, reduce the number of slum dwellers, and ensure universal primary education, among other things. The world as a whole has achieved most of the associated targets, and even the world’s Least Developed Countries have in many cases made remarkable progress. The recently published “Road to Dignity by 2030,” the synthesis report of the Secretary- General on the post-2015 agenda, quite enthusiastically evaluates the outcomes of the MDG agenda by assuming that “extreme poverty can be eradicated within one more generation.” However, while the share of the poor fell in the group of the Least Developed Countries, their absolute numbers are higher than ever. This is because poverty reduction did not keep pace with population growth. Likewise, while countries were arguably successful in reducing the number of slum dwellers, today many more people are living in slums than 25 years ago because of rapid urban population growth. And although the poorest countries have succeeded in getting many more millions of children to school, they are less successful in reaching this target than other countries because their efforts were dwarfed by the large growth in the number of children of primary school age. Despite considerable efforts and attested progress, can we truly say that we are living in a better world today, and that people are better off than before? Yet without knowing how many people there are, where they are living, how old they are, and how these will change, policymakers will not be able to understand and meet people’s needs. Many proponents of the new development agenda are putting forward goals, targets, and indicators that are not informed by the projected changes in the number, geographic location, and age structure of the population. Without this knowledge it is not possible to ensure people-centered and evidence-based development strategies, policies, and programs. To make people count, it is necessary to count people, I and a collection of other authors argue in a new report published by the Berlin Institute, Consequential Omissions. Neither population growth nor rapid urbanization or population aging are “bombs,” as is sometimes suggested by the popular and sometimes populist literature. Rather, these are the results of evolutions that started decades ago, and population projections provide reliable information on these trends over the decades to come. There are few things social scientists can predict with comparatively great certainty over the next 15 years. Demographic change is one of these things. Population data and projections enable countries to anticipate and plan for demographic changes. By doing so they can proactively address many of the associated challenges before they become completely unmanageable, including the unplanned growth of cities, the collapse of rural communities, or the aging of populations – the latter of which has profound implications, for example, when designing pension and health systems. Planning based on population data enables policymakers to be ahead of the curve instead of running behind tackling one crisis after another. Today’s population megatrends – continued population growth, population aging, urbanization and migration – shape progress towards virtually all of the top priorities on national and international agendas, including: economic growth, labor markets and income distribution; poverty, social protection and pensions; health, education and gender equality; food, water and energy security; as well as environmental protection, climate change mitigation and climate change adaptation. Because they shape the most pressing challenges of the 21st century, population dynamics must be considered and integrated into the post-2015 development agenda. Beyond efforts to plan for population dynamics, countries can shape these dynamics through policies. If fertility levels fall in the coming years, as assumed by the medium variant of the United Nations population projection, the world population will grow to over 9.5 billion by the middle of the present century and level off at nearly 11 billion by the end of it. If, on the other hand, fertility levels fall as assumed by the high variant of these population projections, the world population will grow to nearly 11 billion by the middle of the century and to about 17 billion by the end of it. Small differences in fertility can, over time, add up to large differences in population size. The medium variant assumes that every second woman will have one child fewer, on average, than the high variant. Which trajectory populations will follow is not written in stone; demography is not destiny. Population dynamics are not beyond the influence of policy, and policies to this end must not violate human rights – to the contrary. Measures that help to realize and strengthen human rights contribute to human development, lower fertility levels, slow down population growth, and play a role in more sustainable development pathways. These measures include universal access to sexual and reproductive health services, information, and education; the abandonment of early and forced child marriages; higher levels of educational attainment; achievement of gender parity; and the empowerment of women and girls to actively participate in economic, political, social, and cultural life. These human rights-based measures will make a world of difference in more ways than one. They are essential to reduce infant, child, and maternal mortality; curb the spread of sexually transmitted diseases, including HIV/ AIDS; and they will empower women and men to take charge of their bodies, health, and lives. Whether and whom we marry, and whether, when, and how many children we have, are some of the most far-reaching decisions we will ever make, and everyone should be able to make these decisions freely. Empowering people in these ways is critical for shaping the future of population dynamics. The challenge of this century is to meet the needs of a large and growing world population, and of current and future generations, without imposing catastrophic and irreversible damage on the environment. How population dynamics will over the next decades impact on the environment is shaped by the living standards we have and aspire to, how we distribute what we have, and how we produce what we need and want. Accordingly, scientists and policymakers have long highlighted the need to ensure sustainable patterns of consumption and production – which are the hallmark of more inclusive and greener economies – and efforts to plan for and shape population dynamics. This insight is also reflected in the Rio Declaration (Principle 8), and the Cairo Program of Action (Principle 6), which was agreed at the International Conference on Population and Development (ICPD), held in Cairo in 1994. The Program of Action agreed at the ICPD is remarkably timeless and relevant, and bears important implications for the post-2015 development agenda. The program not only outlines the linkages between population dynamics, poverty, economic growth, and sustainable development, it also provides guidance on how to address and harness these linkages. The consensus expressed with this Program of Action received overwhelming reaffirmation last year, when the United Nations embarked on a landmark review process of the Program of Action to mark the 20th anniversary of the ICPD. We are already a global family of 7 billion people and are likely to reach 9 billion by 2050. We are an aging world, as people live longer and healthier lives. We are increasingly an urban world, with more than half the world’s population living in towns and cities. And we are a mobile world, with more than 232 million migrants – and almost 1 billion when internal migrants are counted. These trends will have direct impacts on our goals and present both challenges and opportunities. This recognition is highly appreciated and we now have to make sure that this acknowledgement is put into action. Consequential Omissions is a much needed wake-up call that fills a gaping hole in today’s development discourse. It shows that demographic change shapes development – how it affected progress towards the MDGs, and will influence progress towards the SDGs – but it also shows that demography is not destiny. It makes a strong case for why demographic data must inform the formulation of development goals, targets, and indicators – and why the analysis of demographic-development linkages must inform the formulation of development strategies, policies, and programs. Not doing so is a consequential omission that can set us up for failure in our efforts to improve the human condition. Michael Herrmann is the editor and lead author of ‘Consequential Omissions,’ and a senior adviser on population and economics and manager of the Innovation Fund at the United Nations Population Fund (UNFPA). He is also a member of the World Economic Forum’s Global Agenda Council on Aging. Sources: Berlin Institute, UN Population Division, UN Secretary General. 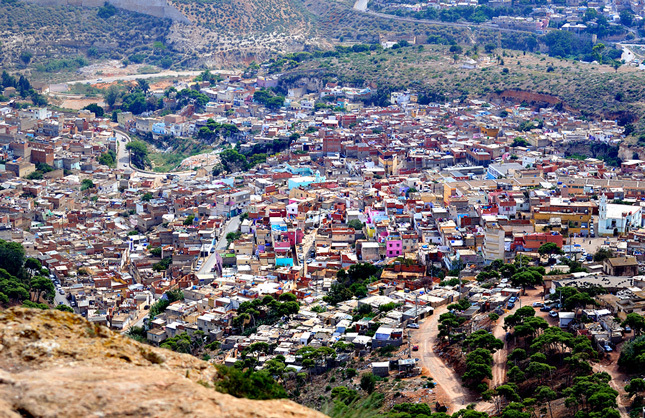 Photo Credit: “Oran Favela,” courtesy of flickr user Omar-Dz.